Hannah and Alex are the fairytale story we all wanted read to us growing up. They met during high school and spent their first years pining for one another. It wasn’t until their senior year when they finally made it official. Alex wrote her a song and performed every aspect of it - guitar, drum, bass and even took his chance with vocals. He asked Hannah listen to it in their school cafeteria with headphones and at the end of the song, he ask her to date him. 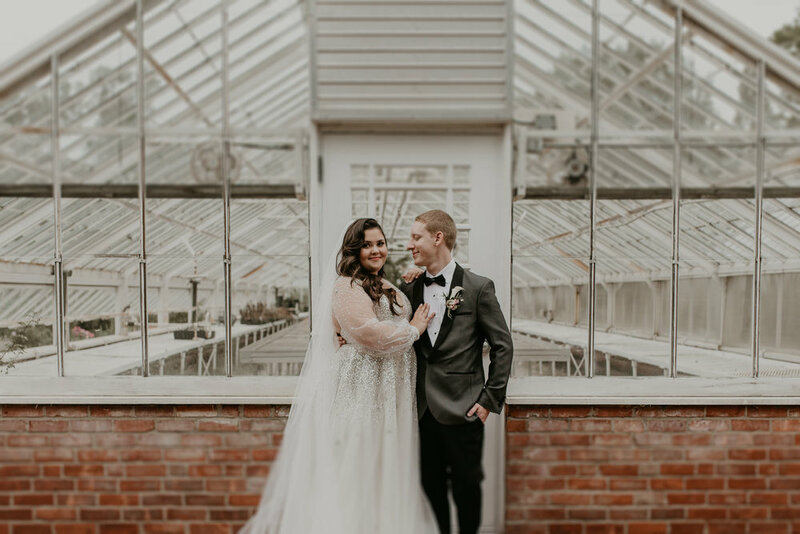 With tears in her eye, she agreed and they quickly jumped into a relationship filled with love and adventure… they even went to prom together! The memories they already share are priceless. College separated them by distance but not in passion. Alex drove to see Hannah nearly every weekend and eventually Hannah transferred schools to be closer to him. They consider themselves a wonderfully balanced match, Hannah’s high energy and bubbly personality pairs perfectly with Alex’s calm and cool demeanor. Though he rocked one hell of a mohawk during high school, Alex’s patience and understanding always seems to bring peace to those around him, while Hannah’s energy brings light into any room she enters. These high school hunnies tied the knot in Connecticut on September 8, 2018. Friends and family gathered at The Pond House Cafe to watch Hannah walk towards her future with Alex. 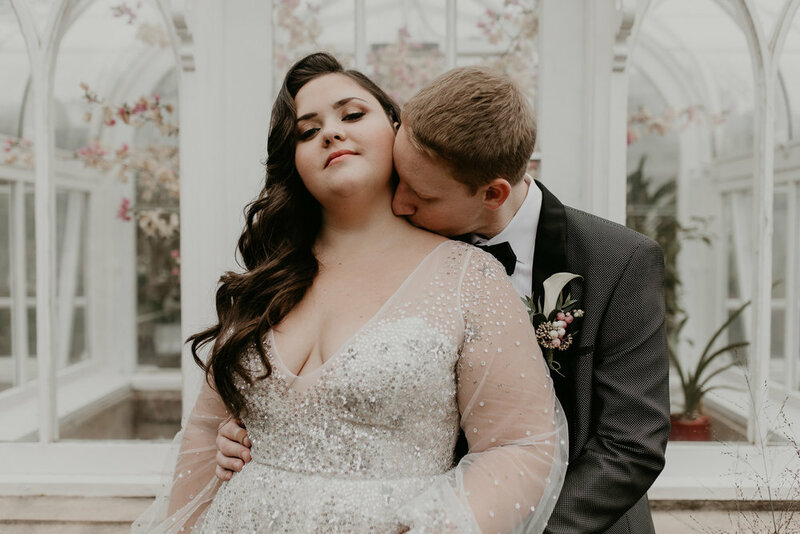 Their unique arch, in the shape of a triangle, was absolutely covered with flowers and Hannah was literally a star, wearing a stunning Hayley Page dress, adorned with all the sparkles and sewn stars. She radiated the type of confidence we all wish we had. We took family photos and portraits of the sweet married couple in the most incredible rose garden. With ivy covered arches and flowers as far as you could see, this was truly a fairytale wedding.